My collection of music in Serato for the most part consists of 320 kbps CBR MP3 purchased from Beatport. That said, any music I've purchased from iTunes, or ripped from CDs into iTunes is 256 kbps AAC. People tell me the music I purchase from iTunes is not going to sound good on a club system. Are there any noticeable differences between AAC/m4a 250 and MP3 320? Do you recommend m4a over mp3 for use in clubs? I appreciate your time. M4A vs MP3, which side you are on? This is an endless debate. 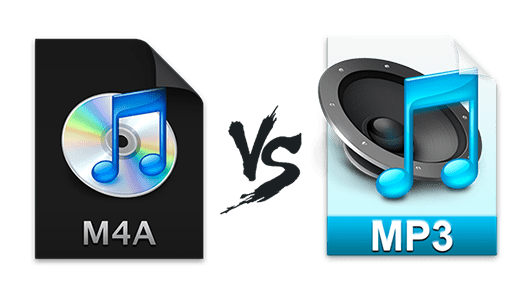 If you are still wondering the real difference between the two music formats, your uncertainty can be ascertained by following the overall comparison, showing you how the new kid on the block M4A stacks up against the venerable MP3, in terms of sound quality, file size and industry support. Award-Winning MacX Online Music Downloader/Converter - Hassle-free to download music videos from YouTube, Vevo, Soundcloud, Pandora, etc, as many as 300+ video/music sits, and convert downloaded online music videos to M4A or MP3 audio file in minutes. Firstly, please bear in mind both Mpeg 3 audio (MP3) and Mpeg 4 audio (M4A) are audio compression formats, managed by Motion Pictures Experts Group. As their names suggest, MPEG 4 is newer than MP3. The follower is designed to replace the latter, with advantages like higher quality, low bitrates and file size, which is also alleged by many people. Does m4a sound better than mp3? Take a further look. 1. Sound Quality Comparison: Sound quality is the top concern in M4A vs MP3 review. To be impartial, there are two cases you shall know. For M4A audio encoded with Apple lossless compression, none of the original signal is lost. Thus M4A delivers the best sound quality that other audio formats cannot catch up with, including the MP3. When it comes to M4A audio with AAC lossy compression, it renders much better at lower compressions. Tests show that an AAC M4A file stomps MP3 in the dirt in sound quality and transparency, at the same bit rate, particularly for the bit rate at or below 128 kbps. But with the increasing of bit rates, the advantages of M4A over MP3 is gradually unconspicuous, because more original sound signal is obtained. Specifically, some people firmly believe that M4A and MP3 are pretty much interchangeable with 256 M4A AAC = 320 MP3 quality more or less. 2. File Size Comparison: With a little math and a little rounding in mind: File Size in MB = (Bitrate in kbps x Playing Time in minutes) / 140. M4A audio files with AAC lossy compression can be as small as 1/10 the size of the original file, while those with Apple Lossless compression are generally 50% smaller than the size of the original file. The two audio formats have the same size when encoded at the same bitrate. For instance, a 4 minute music at 128kbps M4A AAC is about 3.8MB in size. But you have to encode the song at around 192kbps, which will make the file larger than 3.8MB, in order to have the equal audio quality in MP3. So if space is a concern, AAC M4A is the winner in the fight. Note: The size and sound quality are related to the bit rate which generally ranges from 96 to 320 Kbps. As the bit rate increases, the sound quality increases, so does the file size. 3. Industry Support Comparison: Despite MP3 is somewhat older than M4A, it has been the standard for digital music file for 24 years. Virtually any media player and device supports playing MP3. So far, it is still the most popular audio format for downloading. But if you start working on a new database, just go AAC M4A as most video/audio players support playing MPEG4 can recognize M4A file. Plus, industry support for M4A has been growing and major music hardware manufacturers already include AAC decoding on their devices. On top of that, AAC M4A is the default format for the hot gadgets, including iPad, iPhone, iPod, iTunes, PlayStation 3 and more. Taking all the factors into consideration based on the M4A and MP3 comparison, here are some conclusions for you. 1. Obviously, mp3 remains popular among other audio formats including the rising m4a. 2. M4A is actually an audio-only Mpeg-4 compression file. 3. M4A was partially developed to take away mp3's throne as the most popular audio format. 4. M4A has better audio quality and less space occupation than mp3. 5. MP3 has been widely recognized for wide compatibility with media players, smartphones, tablets, PC, Mac, etc while m4a has not reached that point yet. If you have a huge MP3 collection and most of it is above 260 kb, please don't waste your time converting MP3 to M4A, just leave it what you already have now. If you want to download music video, it's suggested to save the music file in M4A. Anyway, it's up to you. But for a solid music video downloader, MacX Video Converter Pro would undoubtedly be it. 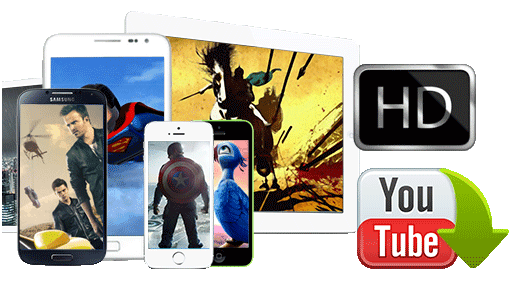 It is an all-in-one solution to download YouTube videos and other music from Soundcloud, Pandora, Vevo, Facebook, etc, convert YouTube video to MP3, M4A AAC, WMA, OGG, WAV, FLAC, etc. The 350+ preset profiles are infused, all ready for Apple, Android and another devices, covering the latest iPhone 6S, iPad Pro, Mini 4, Apple TV 4, Samsung Galaxy S6, and more. MacX Video Converter Pro can easily download YouTube videos and other music from Soundcloud, Pandora, Facebook, etc, convert video to MP3, M4A AAC, etc. • Download Online Video/Audio from YouTube & 300+ Sites: download music video/audio track from 300+ online sites, including YouTube, Soundcloud, etc. • Convert All Video Audio Formats: convert any video to over 180 video formats and 14 popular audio formats on Mac OS X (El Capitan included). MacX Video Converter Pro is an all-in-one music video downloading program with top quality and fast speed. This feature-rich music download tool also can help you easily convert HD or SD music videos to MP3, M4A, WMA, OGG, WAV, FLAC, etc.